Yolande Boulé Douglas is a Healing Touch Practitionner and Instructor. Yolande is also a Marriage and Family Therapist with a private practice in Québec City, Canada. Yolande received a bachelor degree from Ball State University in Muncie Indiana and a Masters degree in Marriage and Family Therapy from Antioch New England, Keene, New Hampshire. 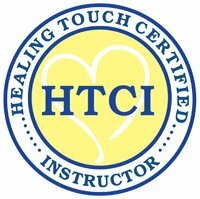 Yolande teaches Healing Touch Levels 1, 2, 3, 4 and 5. She is a member of HTPA: Healing Touch Professional Association, HTAC: Healing Touch Association of Canada, RITMA: Regroupement des Intervenants et des Thérapeutes en Médecine Alternative, AAMFT: American Association of Marriage and Family Therapists, QAMFT: Quebec Association of Marriage and Family Therapists as well as the OPTCFTSQ : Ordre professionel des Thérapeutes conjugaux et familiaux et des travailleurs sociaux du Québec as well as the Order of Psychologists. Yolande enthusiastically offers Healing Touch presentations to help promote Healing Touch in Québec. Yolande teaches both in English and in French and is a Qualified Mentor.